February's Young Player of the Month Award went to Jade Lawson-Ho who was exemplary as a young player at The Technical Institute. "The staff were pretty unanimous when voting in February as Jade's name had been in the hat for a few months, but it was clear she was working towards her goals in February" Said Matt Evans, Senior Staff Coach. 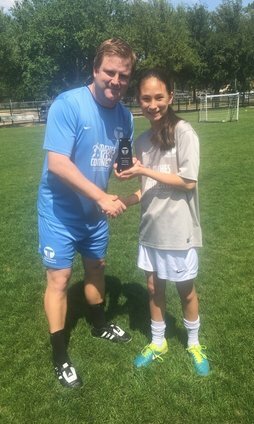 Jade, who recently visited England to play some matches and attend games had a great month in February where the TTi Staff felt that she had improved dramatically.